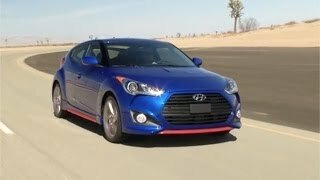 Hyundai has unveiled the updated Veloster Turbo R-Spec at the 2013 Los Angeles Auto Show. 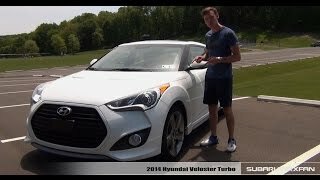 Veloster Turbo R-Spec is the fourth R-Spec model in Hyundai’s lineup. On the exterior, R-Spec adds a sporty red-accented front splitter and side blades. Inside, red leatherette bolsters with red/black cloth insert sport seats complement special embroidered-logo R-Spec floor mats for a sporty ambience. 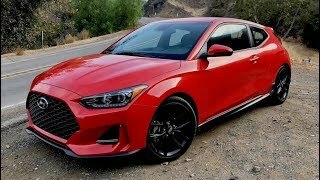 It gets a revised suspension and steering, as well as a six-speed close-ratio manual gearbox that comes with a redesigned shift knob. 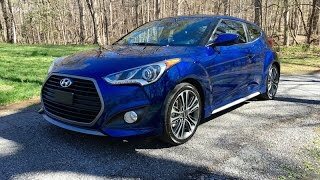 The 2014 Hyundai Veloster Turbo R-Spec is powered by the direct-injected 1.6-liter turbo engine producing 201 bhp (150 kW) and 195 lb-ft (264 Nm) of torque. R-Spec is available only with the 6-speed manual transmission, and a short-throw B&M Sport Shifter has been added for a tighter, more direct shift feel.